#SolarEnergy can be stored by converting it into hydrogen. But current methods are too expensive and don’t last long. Using commercially available solar cells and none of the usual rare metals, researchers have now designed a device that outperforms in stability, efficiency and cost. The method, which surpasses previous efforts in terms of stability, performance, lifespan and cost efficiency, is published in the Journal of The Electrochemical Society. “A 12-14 m2 system installed in Switzerland would allow the generation and storage of enough hydrogen to power a fuel cell car over 10,000 km every year,” says Christophe Ballif, who co-authored the paper. The key here is making the most of existing components, and using a ‘hybrid’ type of crystalline-silicon solar cell based on heterojunction technology. The researchers’ sandwich structure — using layers of crystalline silicon and amorphous silicon — allows for higher voltages. And this means that just three of these cells, interconnected, can already generate an almost ideal voltage for electrolysis to occur. 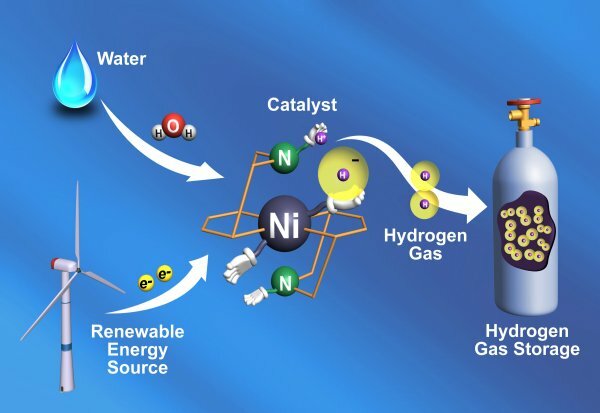 The electrochemical part of the process requires a catalyst made from nickel, which is widely available.